Windows Defender will soon be getting an interesting new string to its bow, with Microsoft adding protection from PC cleaning or optimization utilities that try to nag and generally coerce the user into an upgrade. Note that there is a big distinction here between genuine software which tunes up and optimizes Windows systems from the likes of veteran outfits such as Iolo and IObit, and dodgier software that might detect tons of made-up faults, promising to ‘cure’ them – if you pay for the upgraded version. This is a form of ‘scareware’, as you’re being scared or coerced into paying out money for an upgrade from an initially free version of the app – or in some cases not payment, but something more trivial, like filling out a survey – all to cure problems that may not actually exist. The software might also specify a period of time the user must act within, in order to further cajole them. 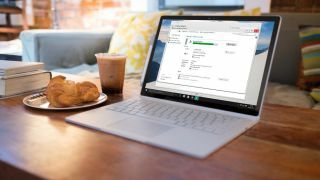 The idea is that Windows Defender, the built-in security and antivirus app for Microsoft’s OS, will employ certain ‘evaluation criteria’ to pick out apps which are identified as either unwanted software or straight-out malware. Microsoft underlines that it will be acting against software which reports errors in an exaggerated or alarming manner, suggests that no other action can cure these issues, and requires the user to act within a limited period of time to get the problems resolved. This is without doubt a useful move, as less tech-savvy folks can certainly fall prey to this sort of software, which can sometimes even end up being harmful to the host PC if it deploys a batch of false fixes which just generally mess with the system. The new Windows Defender feature isn’t live yet, but will be coming into play at the start of March. The obvious danger is that Microsoft will have to be careful not to open fire on any genuine PC optimization programs, although given the criteria laid out here, that shouldn’t happen – as no software developer worth their salt would stoop to the sort of tactics outlined above. And if you want to know who the quality developers are when it comes to Windows tune-up apps, we’ve rounded up the best free PC optimization software.